Levels of some persistent organic pollutants (POPs) regulated by the Stockholm Convention are decreasing in the Arctic, according to an international team of researchers who have been actively monitoring the northern regions of the globe. POPs are a diverse group of long-lived chemicals that can travel long distances from their source of manufacture or use. Many POPs were used extensively in industry, consumer products or as pesticides in agriculture. Well-known POPs include chemicals such as DDT and PCBs (polychlorinated biphenyls), and some of the products they were used in included flame retardants and fabric coatings. Because POPs were found to cause health problems for people and wildlife, they were largely banned or phased out of production in many countries. Many have been linked to reproductive, developmental, neurological and immunological problems in mammals. The accumulation of DDT, a well-known and heavily used POP, was also linked to eggshell-thinning in fish-eating birds, such as eagles and pelicans, in the late 20th century, and caused catastrophic population declines for those animals. In 2001, 152 countries signed a United Nations treaty in Stockholm, Sweden intended to eliminate, restrict or minimize unintentional production of 12 of the most widely used POPs. Later amendments added more chemicals to the initial list. Today, more than 33 POP chemicals or groups are covered by what is commonly called the "Stockholm Convention," which has been recognized by182 countries. "This paper shows that following the treaty and earlier phase-outs have largely resulted in a decline of these contaminants in the Arctic," says John Kucklick, a biologist from the National Institute of Standards and Technology (NIST) and the senior U.S. author on the paper, published August 23 in Science of the Total Environment. "When POP use was curtailed, the change was reflected by declining concentrations in the environment." "In general, the contaminants that are being regulated are decreasing," says Frank Rigét from the Department of Bioscience, Aarhus University, Denmark, and lead author. POPs are particularly problematic in the Arctic because the ecosystem there is especially fragile, and pollution can come from both local sources and from thousands of miles away due to air and water currents. POPs also bioaccumulate. This means that they build up faster in animals and humans than they can be excreted, and that exposure can increase up the food chain. Plankton exposed to POPs in water are eaten by schools of fish, which are in turn eaten by seals or whales, and with each jump up the food chain the amount of POPs increases. The same is true for terrestrial animals. A large mammal's exposure, therefore, can be large and long-lasting. Indigenous people living in northern coastal areas such as Alaska often consume more fish and other animals that come from higher on the food chain than the average American. Such communities, therefore, are potentially exposed to larger amounts of these pollutants. For almost two decades beginning in 2000, Kucklick and Rigét worked in conjunction with scientists from Denmark, Sweden, Canada, Iceland and Norway to track POPs in the fat of several marine mammals and in the tissue of shellfish and seabirds. They also monitored air in the Arctic circle for pollution. To gain a fuller picture of how the deposition of POPs might have changed over time, the study included specimens archived since the 1980s and '90s in special storage facilities around the globe. The U.S. specimens were provided by the NIST Biorepository, located in Charleston, South Carolina. Samples archived in that facility are part of the Alaska Marine Mammal Tissue Archival Project (AMMTAP) or the Seabird Tissue Archival and Monitoring Project (STAMP). Both collections are conducted in collaboration with other federal agencies. The study pooled more than 1,000 samples taken over the course of several decades from many different locations throughout the Arctic Circle. In general, the so-called legacy POPs–those that have been eliminated or restricted from production–were shown to be decreasing over the past two to three decades, although some had decreased more than others. The biggest decreases were in a byproduct of the pesticide lindane, a-HCH, with a mean annual decline of 9 percent in Arctic wildlife. The research team found PCBs had decreased as well. Most industrial countries banned PCBs in the 1970s and '80s, and their production was reduced under the Stockholm Convention in 2004. Previously, the compounds had been widely used in electrical systems. 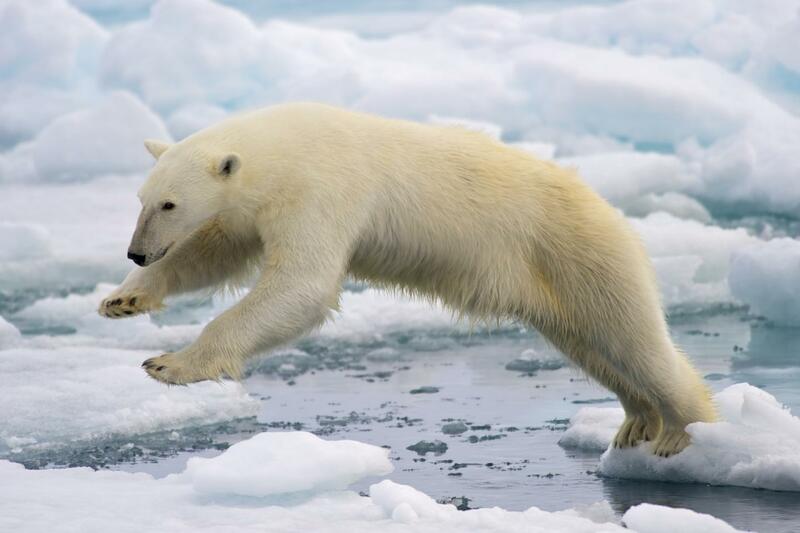 In this study, it was found that their presence had decreased by almost 4 percent per year across the Arctic region since being pulled from the market. Two of the legacy POPs listed under Stockholm, β-HCH and HCB, showed only small declines of less than 3 percent per year. β-HCH was part of a heavily-used pesticide mixture with the active ingredient lindane and HCB was used both in agriculture and industry. A small number of the legacy POPs had increased in a few locations, although some of those were at sites suspected to be influenced by strong, still-existing local pollution sources. Notably, the flame retardant hexabromocyclododecane (HBCDD) showed an annual increase of 7.6 percent. HBCDD was one of 16 additional POPs added to the Stockholm Convention as of 2017 and is recommended for elimination from use, with certain exemptions. Most of the research conducted for this paper was a direct result of the 2001 treaty stipulations, which included a requirement that sponsors participate in ongoing, long-term biological monitoring. Although the U.S. participated in the research, it has not ratified the treaty. It is expected that work on the treaty will continue as new POPs are identified. This recent research work highlights the usefulness of long-term data and international scientific collaboration, says Rigét. "You really need to gather more than 10 years of data before you can see the trend because in the short term there can be some small fluctuations," he notes. "Looking at this data also showed us how to be more economical and avoid over-sampling in the future."